IBM has opened a cloud resiliency centre in North Carolina to provide business continuity capabilities in the cloud to protect companies from potential costly disruptions. The resiliency centre integrates cloud and traditional disaster recovery capabilities with physical security features. Cloud resiliency capabilities can bring down the industry-standard IT recovery time of between 24 and 48 hours to a few minutes, according to IBM. The cloud datacentre team will monitor developing disaster events and then redistribute the resources as needed to ensure the infrastructure for all customers is configured to handle the latest threats to keep data, applications, people and transactions secure. The cloud business continuity centre comes at a time when it is estimated that the overall market opportunity for business continuity and disaster recovery is likely to grow to almost $32bn by 2015. According to a survey by the Ponemon Institute, a substantial outage – one lasting more than an hour or two – costs a company more than $32,000 a minute on average. Cloud and mobility computing have fostered an “always-on” expectation for application and data access, according to IBM. Mobile banking service provider Monitise has started using the IBM cloud resilience centres to expand its mobile banking, payments and commerce ecosystem. With more than 30 million registered users and the value of payments and transfers across its platforms, worth $88bn annually, Monitise wanted a secure cloud infrastructure and a resilient and flexible bank-grade IT architecture to deliver uninterrupted service to its customers. “Banking, paying and buying on mobile is becoming an increasingly integral and recognisable part of daily life, so for us, as a Mobile Money provider, delivering a quality, always-on service is essential,” said Adam Banks, executive vice-president of technology at Monitise. “As we expand globally, this partnership with IBM allows us to provide a consistent, reliable customer service, while having in place a proven cloud resiliency plan that ensures us that no matter the issue, our real-time service capabilities will not be affected,” he added. In addition to the resiliency centre in the US, IBM will be opening two similar facilities in India and Turkey. 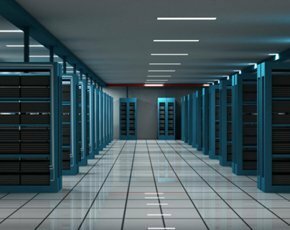 These datacentres will speed up recovery times by virtually eliminating network latency while allowing businesses to manage federal and local data residency compliance regulations. In July, IBM’s London SoftLayer datacentre went live as part of its $1.2bn plan to build 15 datacentres in Europe to propel its cloud services. “By creating a new benchmark for delivering client continuity services in hybrid, public and private cloud environments, we meet the demands of businesses required to serve the around-the-clock needs of their clients,” said Mike Errity, vice-president of IBM business continuity and resiliency services.